It’s one of those colors that really stand out. We see it all day long, from our glass of orange juice in the morning to our garden marigolds that we water during the day, from the carrots or yams we employ in our meals to our pet goldfish calming us down after a stressful day. When we travel, we spy it on the flags of, say, India or Niger, in the robes of Cambodian Buddhist monks, and in the rock formations of Utah’s Bryce Canyon National Park. These are my favorite oranges. The vast Namib Desert covers more than 31,000 square miles along the coast of southwestern Africa. Concentrated mostly in Namibia, it’s the world’s oldest desert (at least 55 million years old) and one of the world’s driest regions, registering less than one-tenth of an inch of rain annually in its most arid areas. Within the desert, Namib-Naukluft National Park attracts a fair share of attention: It’s the largest game park in Africa, and it boasts the world’s largest sands dunes in the Sossusvlei area. These soaring dunes stretch for 20 miles and can reach up to almost 1,000 feet, and their brilliant orange color, especially against a cloudless blue sky backdrop, is positively stunning, particularly at sunrise and sunset. Their orange color stems from the oxidization of iron in the sand, like rusting metal: Older dunes sport brighter color. 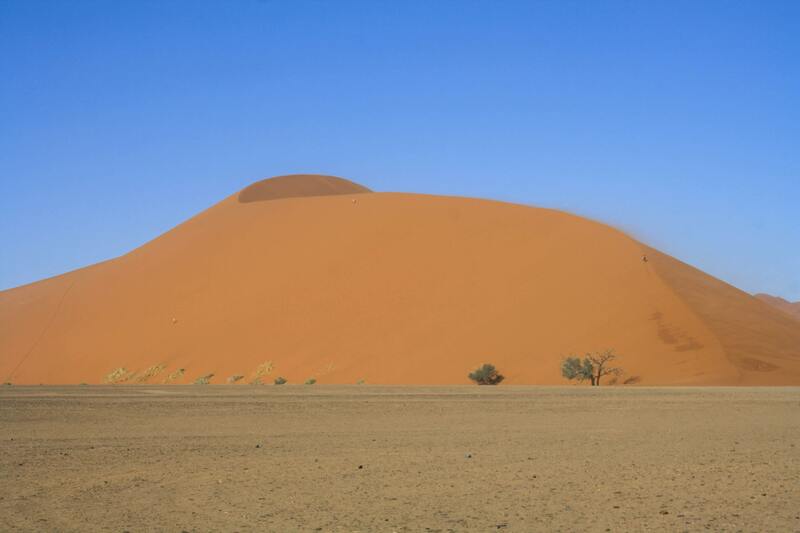 The superstar of the dunes is Dune 45, named for its position at the 45th kilometer mark on the road from the Sesriem gate to Sossusvlei. Its distinctive form and ease of accessibility, and the lure of a 500’ climb to the top that gets progressively more difficult, make it a popular spot to appreciate these natural phenomena. And if you’re here on a windy day—a frequent weather condition—you’ll clearly see the sand being blown off the peaks of the dunes. They thrust up from the earth in bizarre configurations — jagged spires, bulbous mounds, serrated needles. And when the sun hits these geologic anomalies at the right time, they glow like orange embers in a cerulean blue fireplace. The largest and tallest are clearly visible from the main road running alongside this public park in Colorado Springs, but I wanted to get a much closer look at them. 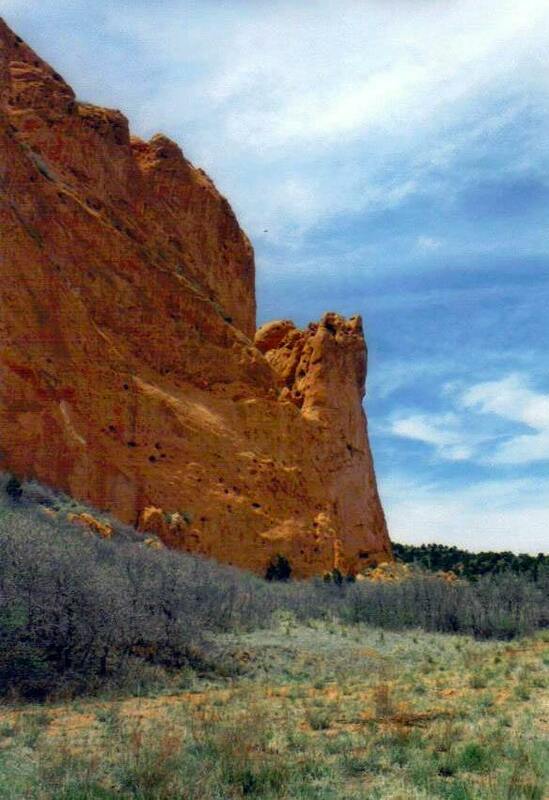 As I started to walk along some of the 15 miles of trails that wend their way around these curious rock formations in the Garden of the Gods, I quickly understood why so many people have made a connection with this beautifully mysterious place, including half a dozen Native American tribes, such as the Utes, whose petroglyphs have been found here. Today, these perdurable formations are a magnet for mountain bikers, hikers, and particularly rock climbers, whom I could spy as dark silhouettes dangling off the sides of some near–vertical rises. One of the most iconic bridges in the world, the famed Golden Gate Bridge has been spanning the Golden Gate Strait since 1937. 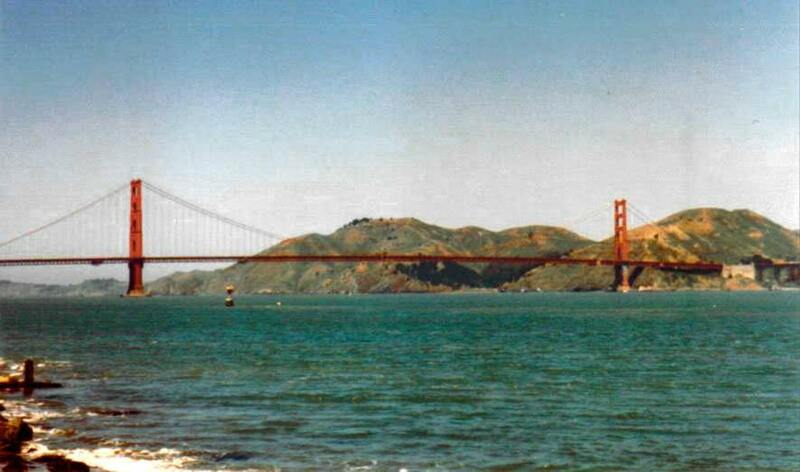 Its “international orange” color — very similar to NASA’s spacesuits — makes this bridge highly visible from every place I gazed at it— from the edges of Lands End park, from the end of Pier 39, from the headlands of Golden Gate National Recreation Area in Marin County. In low-lying fog banks, the tops of its two Art Deco towers (the tallest on a suspension bridge for 61 years) poke through the gray density like a romantic mirage. Fortunately, the U.S. Navy never got its way: they wanted the bridge to be painted with yellow and black stripes to ensure its visibility by passing ships. This bumble bee motif didn’t come to fruition, and the bridge’s orange color remains its most recognizable and chipper feature, which makes it even harder to understand how it also attracts more people intent on committing suicide by jumping off it than any other bridge in the country. My first glimpse of Dubrovnik’s historic and utterly unmistakable Old Town came from the windows of a bus on my way north into town from the airport. The jagged peninsula juts into the Adriatic Sea, its white buildings topped by orange roof tiles forming a brilliant contrast to the cobalt blue of the water. It was love at first sight — for something that had arisen out of hate. When the former Yugoslavia imploded in the early 1990s, attacking Serbs maliciously and unjustifiably shelled Dubrovnik’s Old Town — the historic area, the jewel of Croatia, bore absolutely no military significance — and seriously damaged 86 percent of its buildings, including 752 of the existing brownish clay and terracotta tile roofs. Once the war ended and restoration efforts began, UNESCO donated the first batch of tiles, with its notion that the roofs should not be one unified color. So the damaged or destroyed older brown roofs were replaced by the current orange tiles that give the city its distinctive profile today. 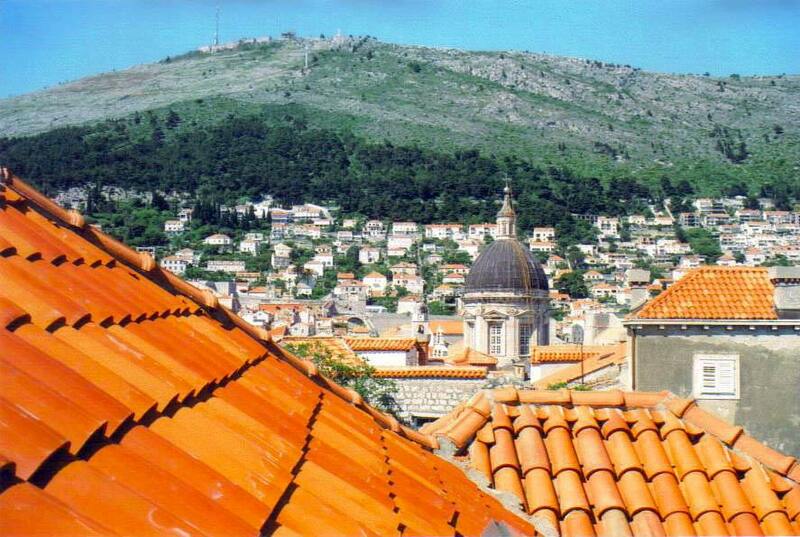 The best way to appreciate those new roofs — Croatia’s answer to the equally iconic brown tile roofs of Siena, Italy — is to ramble atop the thick city walls that encircle the Old Town for more than a mile. From any spot along the way, I was able to look inward and down upon the undulating waves of orange. One of the top five beaches in the world also boasts one of the best oranges. Hugging a strip of sand along the northwest corner of the Dutch side of the Caribbean island of St. Martin, near the porous border with the French side, Cupecoy is comparatively small and requires a little hike down some stone steps to reach the beach. 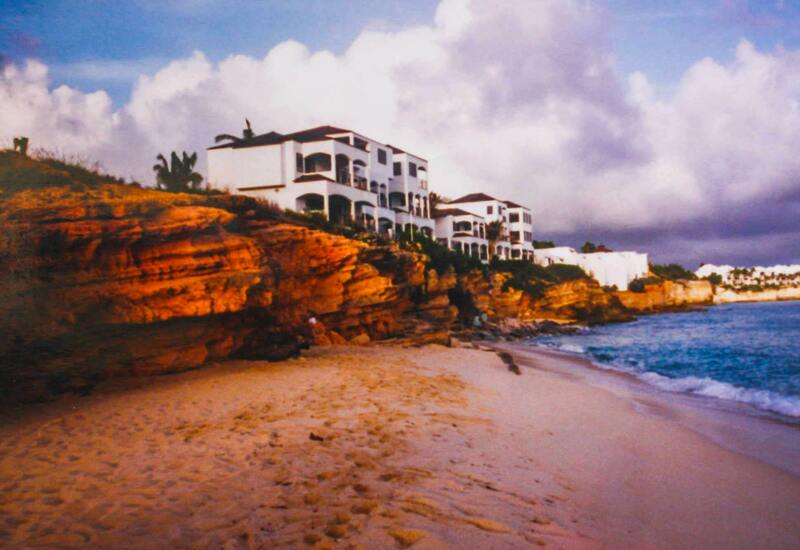 Once I settled onto the sand to enjoy the warm water and the comforting breezes coming off the Caribbean Sea, I realized that the beach is fairly private, thanks to the orange sandstone cliffs behind you. These wonderful barriers, indented with natural niches, reach up to 20 feet high, isolating you from the activity above. As dusk arrives and the westward-facing rocks absorb the light of the setting sun, they warm up to a luscious orange that will completely enchant you.